Are you in the business of converting wastewater into an effluent so that it can be reused or returned to the water cycle without causing negative environmental issues? If the answer is yes, then you might be familiar with using compressed air in wastewater treatment plants. 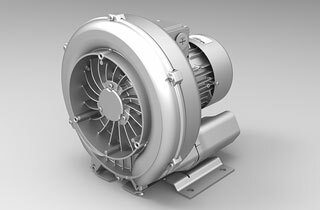 Check out what Airtech Vacuum Incorporated has in store for our customers when it comes to blowers for waste water treatment. Waste water is defined as water that is no longer suitable for use or no longer needed. Waste water treatment is the process of converting wastewater into bilge water, and making sure that it is safe to discharge back into the environment. One of the reasons why it needs to be treated is because it is full of contaminants including chemicals, bacteria, and other nasty toxins, which can be a result of rainwater runoff, using the toilet, washing, bathing, and more. Today, the two main types of waste water treatment plants are biological waste water treatment plant and physical or chemical treatment plants. The first treatment plant type utilizes biological matter and bacteria to break down waste matter. The second treatment plant type uses physical processes and chemical reactions to treat waste water. Industrial plants, manufacturing firms, and factories often used physical waste water treatment plants as they need to deal with chemicals and toxins that can harm the environment. Business premises and households are usually matched with biological treatment systems. Disposing untreated waste water into oceans, lakes, rivers, and into the environment are illegal acts. If one is found culpable, he or she can be prosecuted. As you can see, waste water treatment is one of the most important environmental conservation processes and it should be encouraged globally. 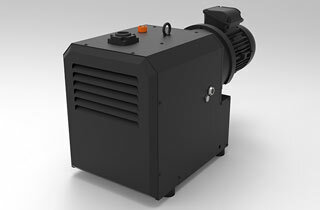 Why Choose Airtech Vacuum Incorporated For Blowers for Waste Water Treatment? At Airtech Vacuum Incorporated, we have been in business for more than 30 years. We manufacture and distribute high quality vacuum, blower, and pressure solutions. We strive always for efficiency in our products, productivity, and service for all our customers. You can trust that our company has the ability to provide vacuum and pressure technology solutions for different industry applications, waste water treatment included. We continually strive to develop cutting edge vacuum pumps, vacuum accessories, and air pressure equipment to spur automation in industrial processes. Browse through our inventory today for blowers for waste water treatment and shop with confidence!